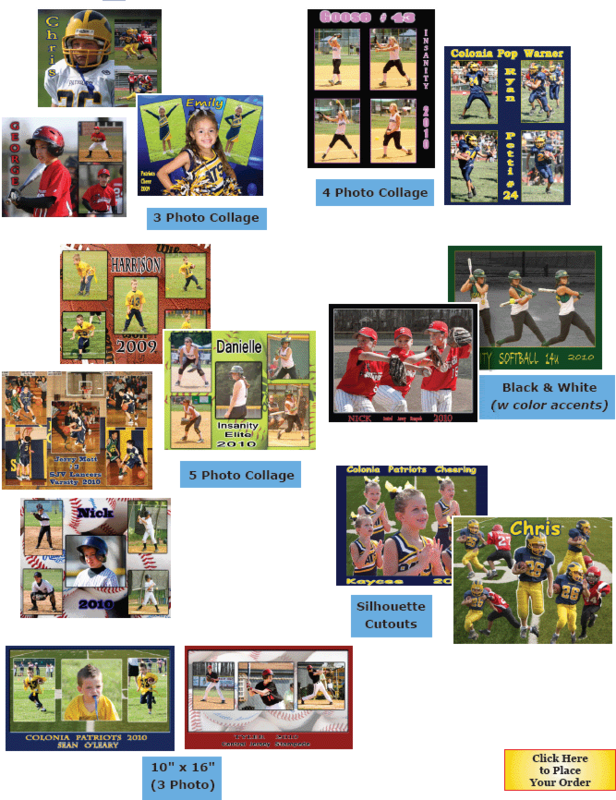 for information and pricing on a custom designed collage. and BW (with color accents) are available in: 8 x1 0, 11 x 14 and 16 x 20. The styles for the 10 x 16 photo collage are as shown. Custom designs are available.